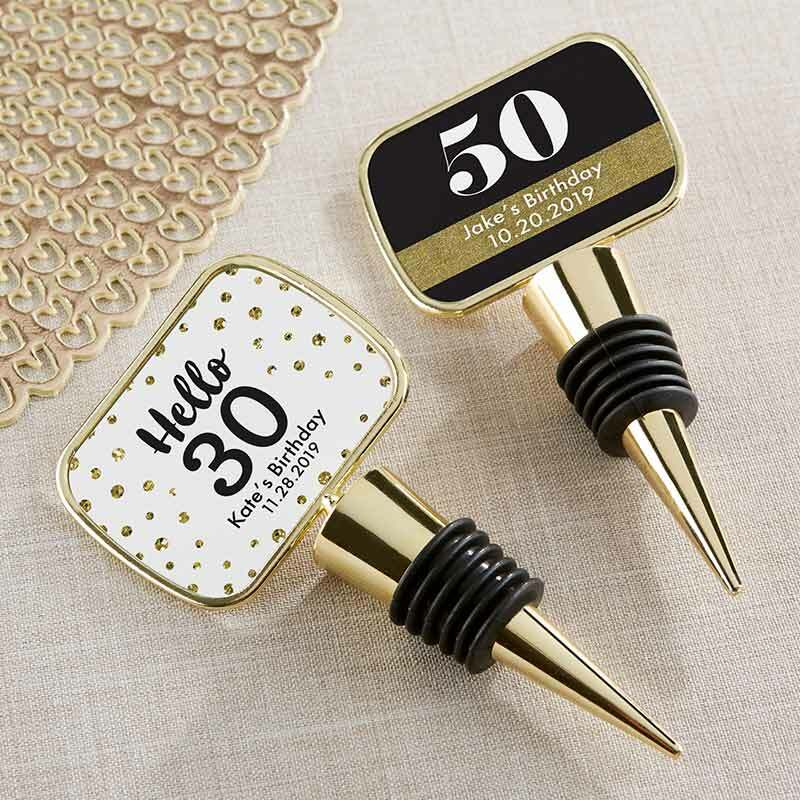 Treat your guests to milestone birthday favors and a fresh drink with Kate Aspen's Personalized Gold Bottle Stopper with Epoxy Dome. 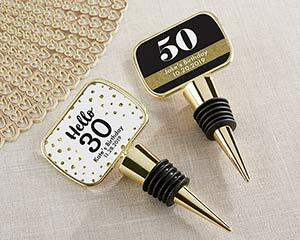 These personalized stoppers are sophisticated and stylish to gift your friends and family for a token of your celebration. Choose your favorite colors and patterns to match your decor and keep the party remembered forever.